Dear contributors, friends and fans! 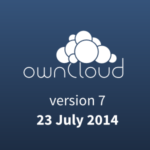 The ownCloud community is proud to announce the release of ownCloud 7. Eight months of planning, coding, discussing and testing have brought massive improvements in sharing and collaboration while putting you even more firmly in control of your data. Watch this great video to get an overview of the new and improved features in ownCloud 7! First off – ownCloud 7 is about sharing: Server-to-server sharing makes collaboration between you and somebody on a different ownCloud installation as easy as on a public cloud, while still giving you the privacy and control of a private, hosted cloud. Sharing is more flexible and transparent – files shared with you are no longer confined to a single “shared” folder and the Files app shows what files are shared by who. As administrator you have more control with options like disabling sharing for some user groups and ensuring shared links expire in a timely manner and are protected by passwords for others. ownCloud 7 also delivers an improved user interface and faster responses, while introducing mobile web browser support. The new, powerful File Activity Notifications can be finely controlled and updates can be sent to you by mail, configured easily with the new Email Configuration. If you manage an ownCloud, you will see improved User Management with easier group handling, search, filtering by group and a single, scrolling list putting all users at your finger tips. You can control access to External Storage by groups and decide how it counts towards the users’ storage limits and you can modify the Email Templates to control the communication of ownCloud to your users. A more complete overview of what is new in this release can be found on the ownCloud website. 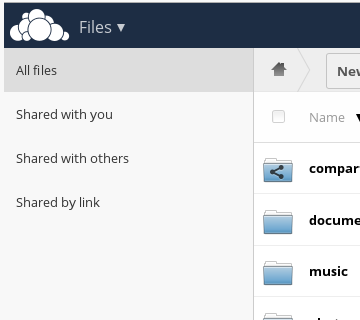 The new features and refinements make ownCloud better than ever. You can download the latest release from our installation page and find documentation on installation and use on doc.owncloud.org. The ownCloud apps on apps.ownCloud.com are not yet all updated for ownCloud 7. If you are an app developer or are interested in writing an ownCloud app, see the app development manual to get started. ownCloud 7 is translated at least 80% in over 30 languages. 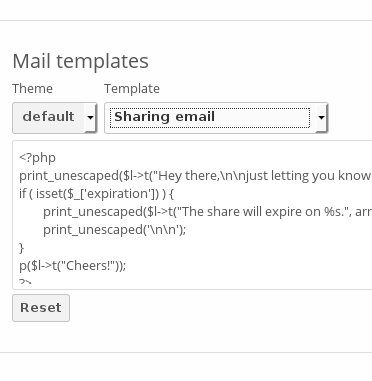 If you want to help translate ownCloud to your own language, help out here. There are many other ways to join the ownCloud community and contribute to making ownCloud successful. 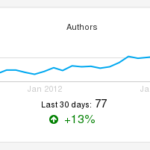 See our contribution page to get started. We look forward to your feedback. Feel free to leave your thoughts in the comments section below, follow and share this release via #owncloud7 on twitter, Google+ and Facebook and don’t forget to tell others about this ownCloud release! It would be nice to HOTLY tell us, where is the guideline to how to update from OC 6.0.4 to 7. My DB is about 1GB in size – not a good thing to happen when an update shuts down the entire cloud. I *could* disable file_sharing – but what’s the point of having a cloud solution that isn’t working? Yes, it would indeed be best if the hoseelms had homes to live in and jobs. And many of them want these things. However, a good percentage of Berkeley’s hoseelms want to live on the streets because Berkeley’s plentiful hoseelms shelters will not let these people carrying liquor bottles, drugs or their pets. Moreover, when it comes to some of the young sitters in particular, they have come to Berkeley because of its ultra tolerance and numerous services. For them, the culture of life on the street is what they have come here for.And some are so tragically out of it that psychologically that they actually prefer to live on the streets or in People’s Park. These people should be hospitalized, with or w/o their consent as they are a danger to themselves and a nuisance and potential danger to others.As for jobs, if some were available to these people of low skill, many would not take them. Don’t believe me? Ask em.Finally, since the sit proposition (barely) failed, it is incumbent upon you if you are aggressively panhandled to go out of ear-shot and call the police. I experienced the same, also when migrating from version 5 to version 6 (upgrade major version). Make shure your config and data are back in place and unpack the (major) upgrade archive. Mahya: ownCloud can check for updates and install them. See http://doc.owncloud.org/server/6.0/admin_manual/maintenance/update.html for information! If you use linux, simply updating will take care of everything. I suggest to shut off apache and mysql before running the distribution update and consider making a backup of your settings and the database. Will you be providing a way to upgrade from v6.0.4 using the Update Center? When I click on it, there are no upgrades available? Upgrade from 6.0.4 to 7 went flawlessly on my shared linux hosting using manual install. Not sure I will be using all the fancy new features but I use OwnCloud every day. i’m from iran.the program can’t make persian folder. I have got the same problem as several others running owncloud 6.04 and when I click upgrade in the upgrade center nothing happens. Previous upgrades have worked fine. Anyone from owncloud care to comment? Has anyone else been able to fix it? had problems updating from v6, completely wiped and did a clean install. now working. Awesome upgrade.. Some of the features are really interesting like email configuration, last login, password protection enforcement, external storage support.. Really good work done by the community.